Because of their excellent chemical resistance, low permeability, and resistance to stress cracks, HDPE geomembrane liners are used in a number of industrial applications ranging from landfill liners and caps to sewage treatment and agricultural usage. 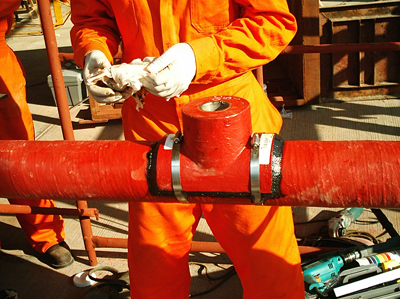 These liners can, however, develop tears, cuts or punctures risking environmental contamination and costly shutdowns. AL-FLA Plastics’ trained staff and state of the art equipment can come on-sight and repair the damaged areas and help minimize such exposure. For all of your HDPE geomembrane liner repair needs call AL-FLA Plastics. With over 30 years in plastics sales and fabrication, AL-FLA Plastics offers a full line of services for plastic pipe ranging from simple fabrication and repairs to design and installation. Whether it be designing an HDPE pipe system for a chemical truck or welding gaps closed in an underground storm drain, AL-FLA Plastics has the knowledge and experience to handle your needs. Let our trained staff assist you with your next project.